It's only a few, short days away and it should be the first of many fun shows in Southern California. We'll be signing, sketching and meeting fans all weekend, so we'll see you there! Hey, ya'lls! 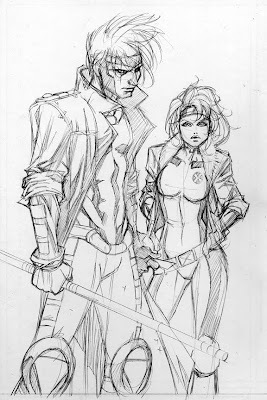 Haven't posted in awhile so I just went through some recent art and decided to post this '90's Jim Lee' era Gambit and Rogue that I did for fun. 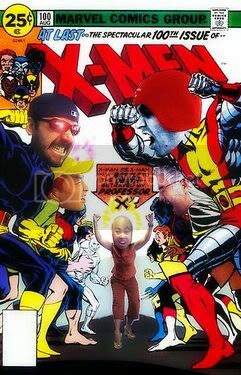 Oct. 2-4 - Long Beach Comic Con! 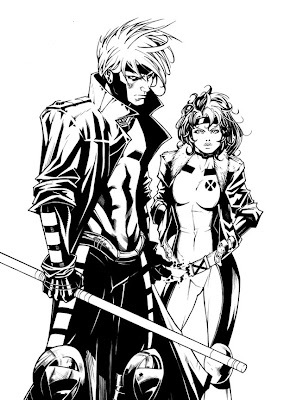 UPDATED 09/24/09: Scott Williams will also be joining us in Artist's Alley on Saturday. A bunch of gelatometti artists will be heading up to the first Long Beach Comic Con this October! It's a great location and should be tons of fun! Everyone will be set up in Artist's Alley too, so get there early!